Well because bad things happen in a strike my IACV decided it was enough! After 210,000 Miles it crapped on my almost 4 days ago (Erratic Idling, Idle too high while in Drive). So I ordered a new IACV and decided to replace it and took some pics for reference. 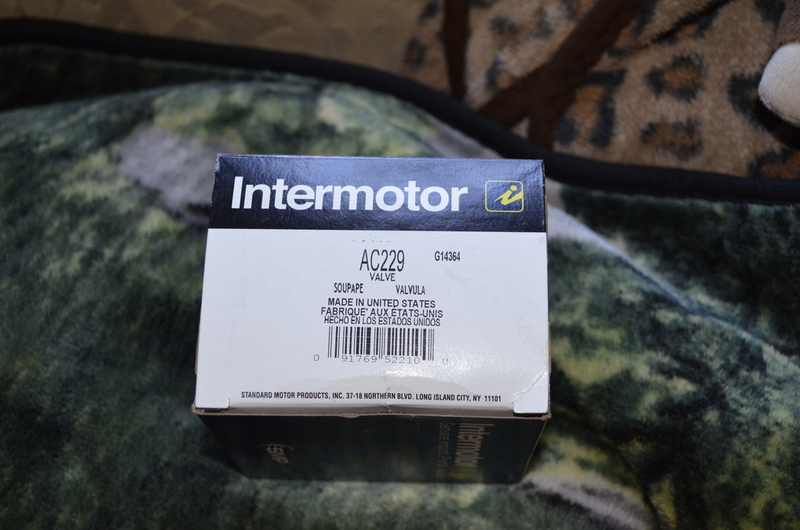 The part I bought is the Standard/Intermotor "AC229" not to be confused with the cheapest AC229T the "T" is for the economy version from Standard Autoparts. AC229 is the one you want for the best performance and longevity its co-made with Intermotor which is a very good brand from UK that makes Motors & Coils. 1x Throttle Body Gasket if you don't have Aftermarket Spacers. 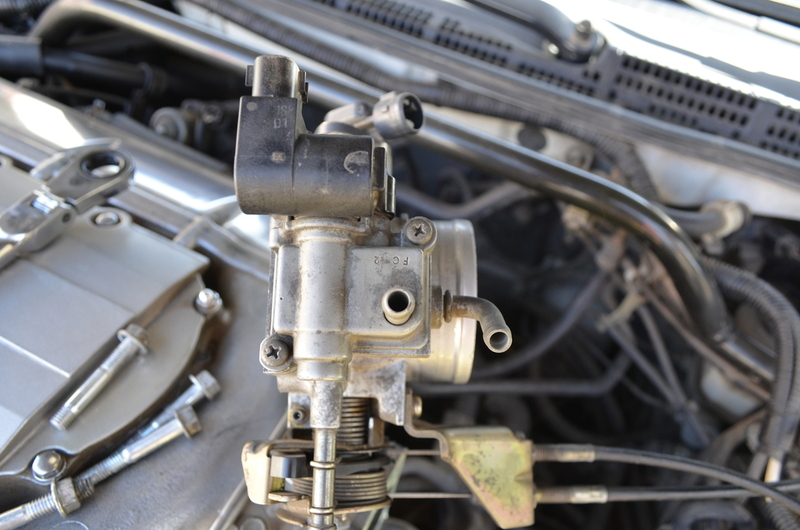 1.- You need to remove your air box cover you will need either a Philips screwdriver (If your screws aren't rusted) or a 9mm socket if they are rusted and you already stripped the Philips head. Once out remove your intake tube by loosing the metal brace with a 10mm socket and unplugging the 2 vacuum assisted tubes. If you have a CAI or SRI just remove it. 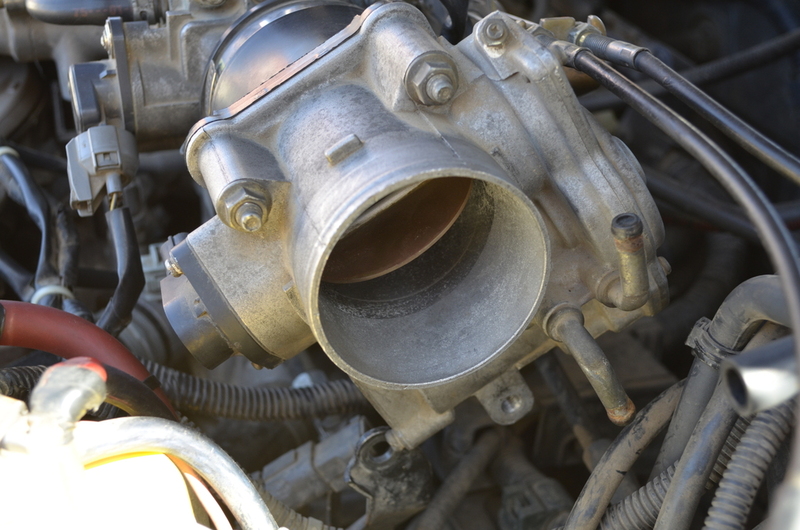 2.- (Type-S only skip to #3 for TL-p) you need to remove your VSA Throttle Body which is held by a metal arm from the transmission with a single 12mm socket.. 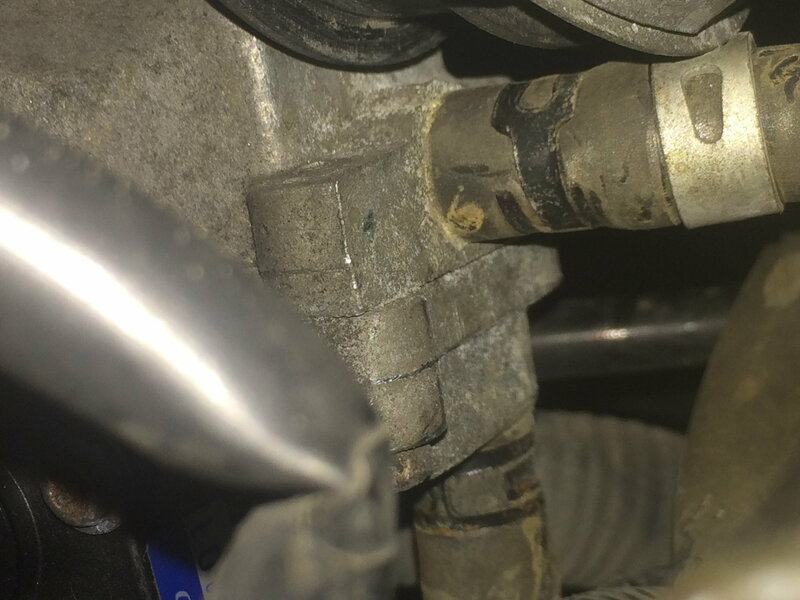 Loose the metal brace with a 10mm socket and remove the 2 Coolant Passages (They will leak coolant have a rag ready). A trick to remove the VSA Assembly easily is by unplugging the VSA Sensor on the side and rotate the whole assembly a couple of degrees counter clock wise missing the metal arm so you can pull it out. 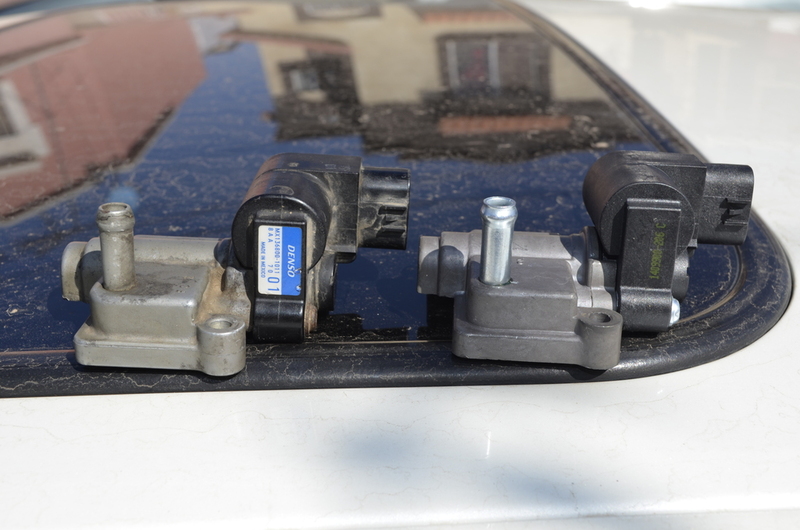 3.- You need to unplug 3 cables: MAP Sensor on the Top, TPS Sensor on the side and IACV from the bottom. 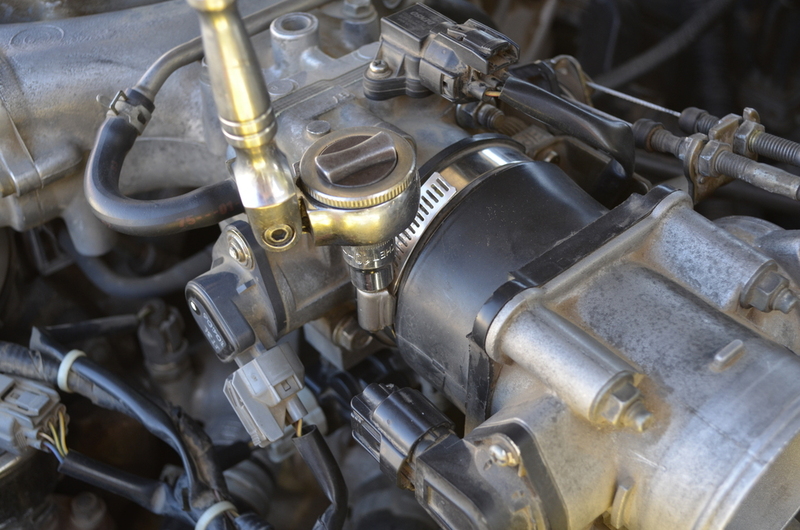 Once you have done that unplug the Vacuum tube from the side by pulling it out (It should come out without pliers) and remove the 2 coolant lines in the IACV then remove the 4x 12mm bolts and nuts holding the Throttle Body into the Intake Manifold it should now come off, Don't remove your Pedal/Cruise Lines you can flip the TB 180° to remove the IACV. Now flip the TB 180° and you should clearly see your IACV being held into the TB by 2x Philips Screwdrivers.. If they are like mine they should un-screw easily.. If they don't you can use a Vise Grip to remove them as they stick their heads enough to have a grip on them. 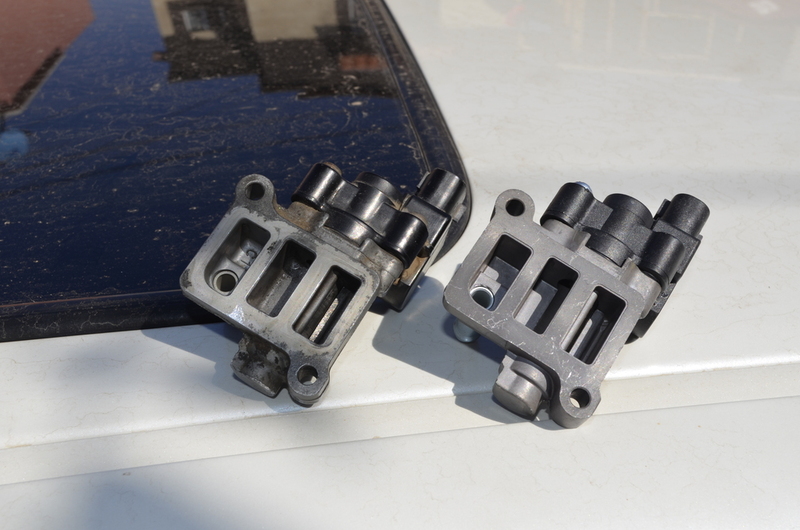 4.- Remove the old gasket and replace with the new IACV gasket included in the box. Install the new IACV carefully making sure the gasket lines up. 5.- Basically Reverse Procedure, Burp your Radiator and your DONE! Hope this Helps anyone as a Reference or as a DIY! Last edited by Skirmich; 03-10-2015 at 02:48 PM. Holy Shieeett! Seems that my IACV wasn't acting just 4 days ago.. Idle is crazy smooth now and when the A/C kicks in it doesn't vibrate while in a stop like before (I thought my Poly mounts were shot!). Also when you kick down a gear in SS the car doesn't engine brake at all! it keeps the idle steady so the car keeps its speed. Its crazy smoothhhhh!!! Best 86 spent evah! Did you remove the rod from old unit- to see how it comes apart for maintenance cleaning- when its off with EGR system cleaning job? bearing failure of the iacv, who woulda thunk! Interesting find on the part. I woulda guessed japan on the denso, and mexico, china, or ? on the intermotor. We've used some intermotor ignition stuff here at the shop with no problem: I'll have to start looking at the country of origin. Nice to be able to buy something made in the U.S.
^ That's what I found more disturbing.. dealer is asking an outrageous amount of money for a part that is being made (still made) south of the border. Ironically a part made in the US cost a fraction of that... Brand recognition much? I would at least think it was worth the price tag if it was made in japan, but I would still not pay that much for it.. Its a goddamn solenoid and a magnet for crying out loud!!! not a space rocket... even my starter was cheaper. Last edited by Skirmich; 03-11-2015 at 03:44 PM. ^ If you have any question don't hesitate to ask! When you have the TB flipped 180° just leave it there and install the IACV carefully.. I didn't have any problem with the gasket. You mean the A/F coolant hoses that goes into the IAC & TB? You need nose pliers to take those off. I don't understand very well your problem? Care to explain a little further? a picture would be great! Use a prybar to separate the two pieces apart from each other then you should be able to slide the metal clip the rest of the way off. Why your hose is straight? 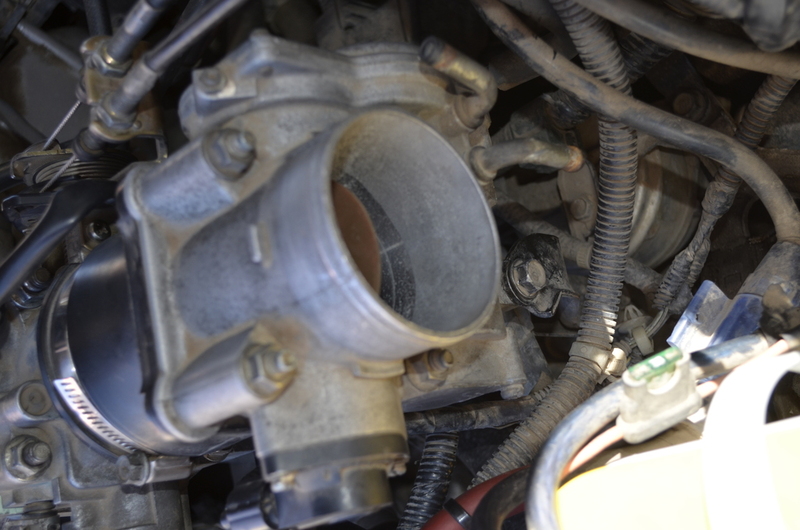 See my pic where the TB Coolant passage is? its pointing downwards! I'm seeing the diagrams and both TL-p and TL-S Throttle body coolant passage points downward, Both inlet (TB) and outlet (IAC). Its yours a 1999? Because that's the only one I see with a Straight outlet. In any case you seem to actually jumped the fitting in the outlet so you need to pull off. 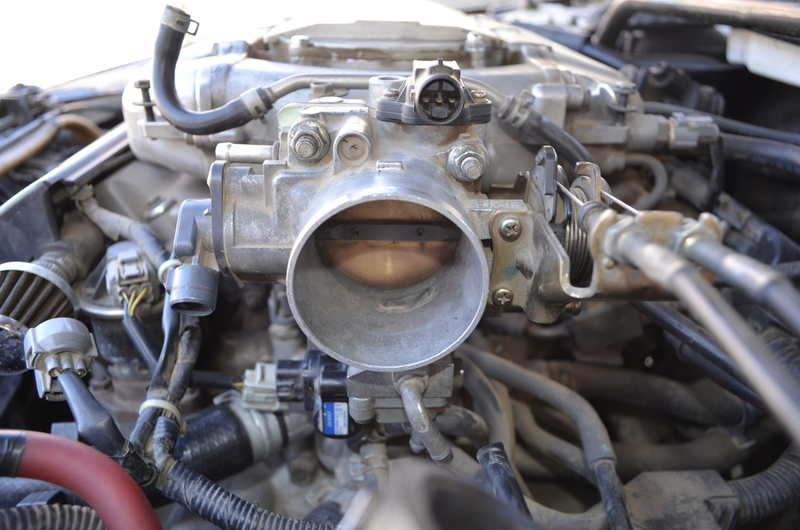 In any case if you cant remove, Remove the side that goes into the Engine. Last edited by Skirmich; 03-27-2015 at 12:49 AM. On an Update from the AC229 this IACV does something that the DENSO didn't, Every time I start the car the RPMs would shoot to 1100RPM then settle down to normal idle after 2 seconds, Regardless of being hot/cold. In comparison the DENSO unit would always start the car at 900-800rpm, Basically start to idle. Thanks for the great write up. Just did this myself on my 2000 TL. I am currently resetting my ECU. Is it normal for the the check light to stay on even after the part has been replaced? Definitely got rid of my crazy bouncy idle. If the IACV was in fact the issue the OBDII would clear itself almost immediately after the first start up. Need to check that code and see if its something new?.. That's what I thought too, but ready to hear something funny? Pulling the fuse did the trick.... I was actually out of town for a wedding, so this DIY really saved me HUGE. It's been about 300 miles and no light yet. We'll see what happens. I was in such a rush I never even got the code read (which probably wasn't smart). I just saw the bouncing idle and went for the replacement. Last edited by Curious3GTL; 05-26-2015 at 07:44 PM. Congrats bud! I just want to know if your Valve does the same thing as mine? can you check it? Once the car is HOT check if the car starts at around 1100RPM then settle back down. OEM IAC Behavior was to start at 800RPM when the car is hot. Also try to hold a gear through SS and see if you notice less engine brake. Mine definitely idles different, and I think it's similar to what you're describing. I've made a video. This was after the car only sat for about 40 minutes and it was in the sun and 85. As far as SS the only time I use that is when I'm on the highway with cruise on to prevent gear hunting on hills. So far I haven't noticed a difference yet, but I almost never use it in acceleration. Yeah, sorry I was posting it from mobile, and it wouldn't post right. I've noticed mine sometimes now will idle at 800? I am not too worried about it. Until the check light comes back I am assuming all is good. P.S. Happy belated birthday. I also turned 26 on 4/10. hahaha. Thanks Man! and Congrats too! The OEM Idle is between 700-790rpm so perhaps its near the top range? but nothing to worry about from the video.. Mine idles exactly the same as the DENSO so perhaps is the manufacturer range setting being a tad off. With a PRO OBDII Scanner you can know the exact RPMs.. Trying to guess from the tacho is hard. Thanks for this write up. I am about to tackle this but noticed they have listed 2 part numbers for OEM and wondered if theres a difference anyone is aware of between the 2. The description also doesnt match 100% saying IAC. 16022-P8A-A03 is what I installed in my '03 TL-S last year. If someone is interested in seeing how my old IACV looks on the inside after 19 years of use, I've got those 5-sided bits so I can take it apart and post pics later. 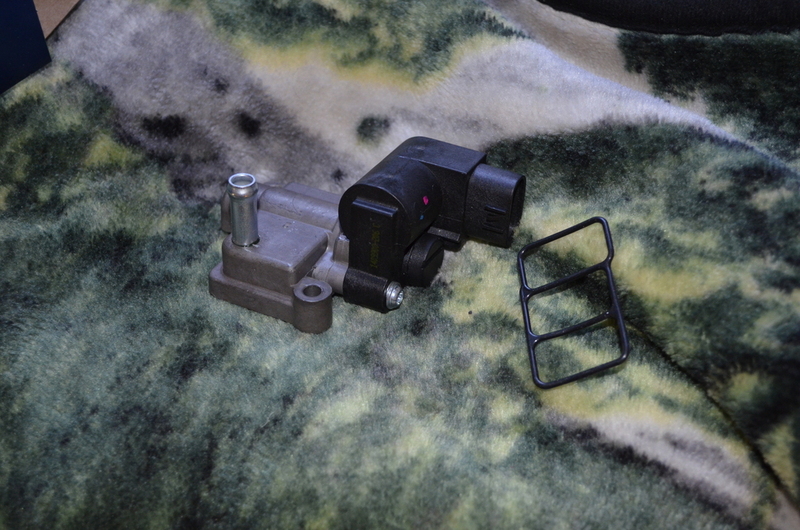 Just ordered the new IACV for like $55, threw in a new throttle body gasket as well for another $5. Free shipping thanks to Amazon! I replaced my IACV with the AC229. The original IACV hadn't completely failed but the car sure ran rough, especially with the AC running. The new IACV really helped! The idle is much smoother and things don't vibrate with the AC on... Thanks for the recommendation. 02 TLS SSM - Hi Oh Silvr! 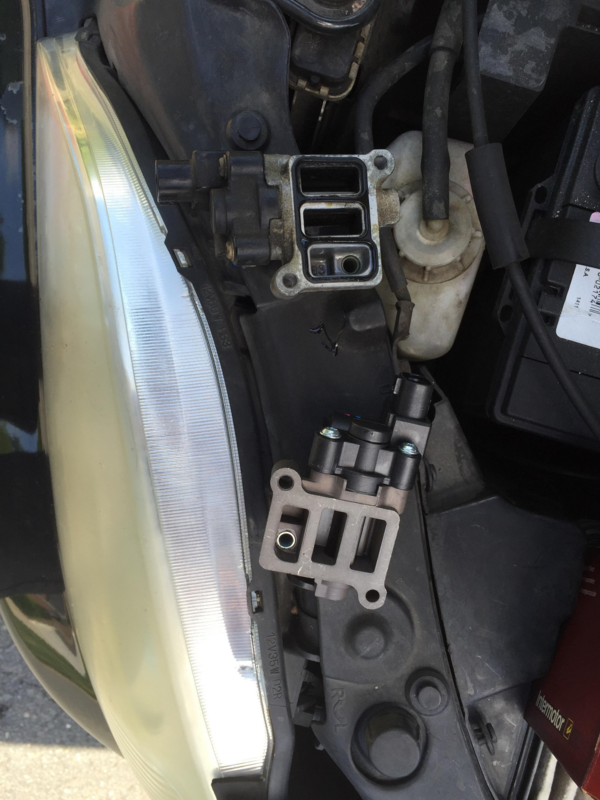 I got lucky and was able to remove the 2 screws upside down without removing the throttle body. This little ratchet costs about $4. 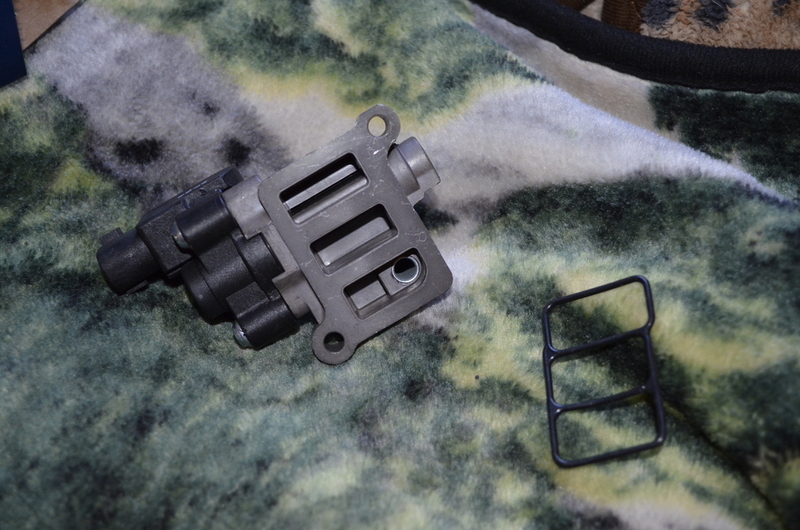 I used a small mirror to view the gasket which was in place and reused. Thanks Skirmich for your thread! I replaced my CLS6's OEM Denso MX136800-1012, after 160k miles, with the AC229 and the car is back to idling normal. The only difference I did notice, though, is it (the AC229) acts like the old OEM one, on a cold start/hot start, and will idle initially just above 1000rpm, then settle back down quickly to around 750-800rpm. The OEM one did the same thing over the years. My original Denso though was marked MX136800-1012 where yours was a 1368091011. 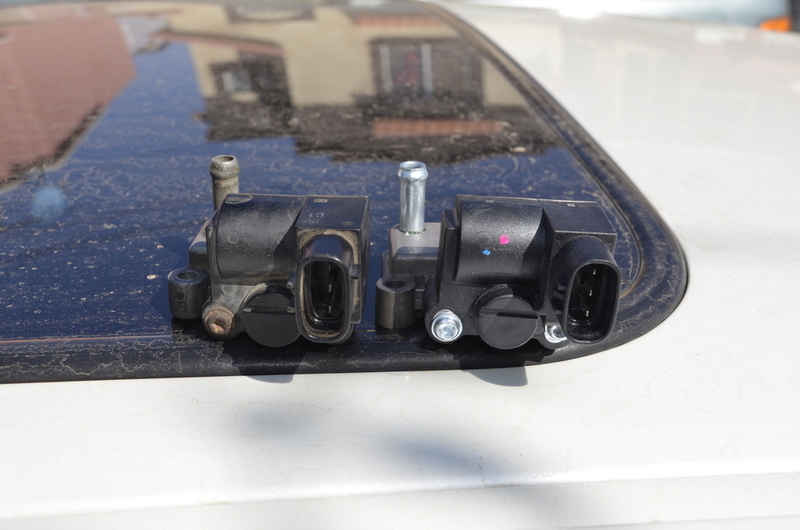 Motor Mounts - We need a thread.